Rosewood My Word Vinyl Toys is a range of brightly coloured dog toys to suit both puppies and adult dogs. Each item comes with a protruding word which gives an enjoyable texture for your dog to chew. 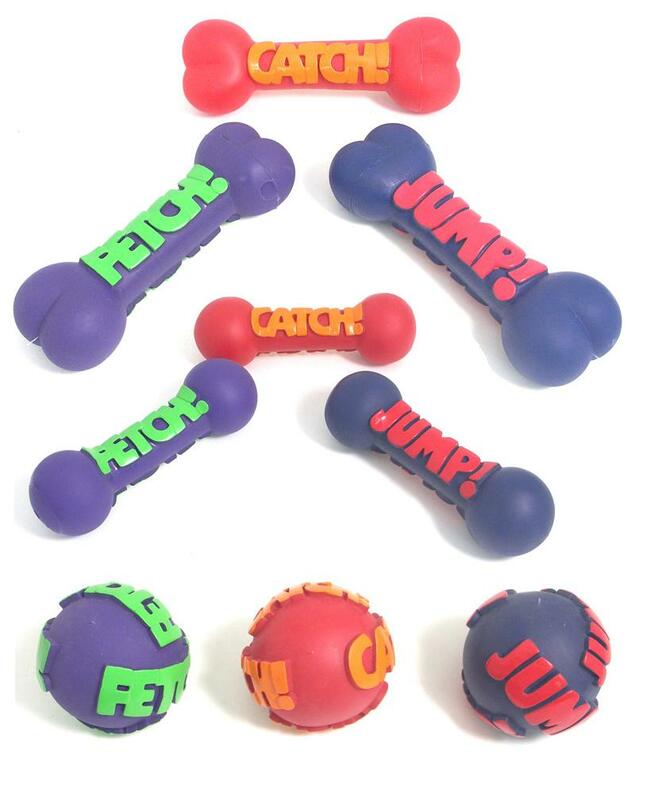 The My Word Vinyl Toys range is available from VioVet in both adult and puppy sizes in the ball, dumbbell and bone shapes. Colours are randomly allocated. There are currently no questions for Rosewood My Word Vinyl Dog Toys - be the first to ask one!